488 Beacon is located on the north side of Beacon, between Hereford and Massachusetts Avenue, with 486 Beacon to the east and 490-492 Beacon to the west. 488 Beacon was designed by Ernest N. Boyden, architect, and built in 1892-1893 for Eugene Hamilton Fay, for speculative sale, one of five contiguous houses (482-484-486-488-490 Beacon). He is shown as the owner on the original building permit applications for 484-490 Beacon, all dated June 11, 1892 (the application for 482 Beacon has not been located). Click here for an index to the deeds for 488 Beacon. On April 15, 1893, 488 Beacon was purchased from Eugene Fay by Harriet (Lowell) Putnam, the wife of attorney George Putnam. They previously had lived in Cambridge. They also maintained a home in Manchester, Massachusetts. 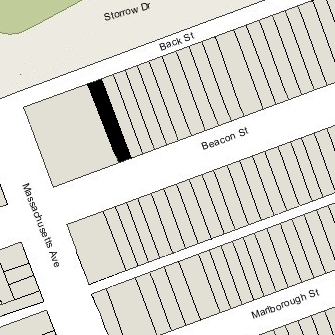 In June of 1900, at the time of the US Census enumeration, they were living elsewhere and 488 Beacon was the home of their son and daughter-in-law, James Lowell Putnam and Elizabeth (Robinson) Putnam. They had married in April of that year. By the 1900-1901 winter season, they had moved to 188 Marlborough. 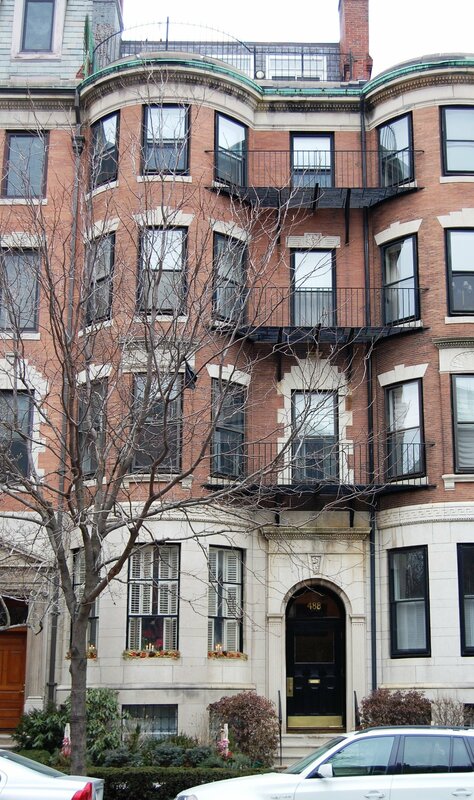 George and Harriet Putnam continued to live at 488 Beacon during the 1903-1904 winter season, but moved thereafter to an apartment at the Hotel Agassiz at 191 Commonwealth. Harriet Putnam contined to own 488 Beacon and lease it to others. 488 Beacon was not listed in the 1905 and 1906 Blue Books. By the 1906-1907 winter season, it was the site of The von Mach School, operated by Mary W. (Peirce) von Mach, the wife of Edmund von Mach, of Cambridge. It remained there until about 1916. By 1917, 488 Beacon was the home of Charles Wellington Stone and his wife, Alice (Stone) Stone, and also the location of his private school for boys, The Stone School. The school previously had been located at 59 Chestnut and the Stones had lived in Roslindale. Harriet Putnam died in January of 1920, and on September 23, 1920, 488 Beacon was purchased from her estate by architect Edward Thomas Patrick Graham. He lived in Cambridge and maintained his office at 171 Newbury. Charles and Alice Stone continued to live and operate their school at 488 Beacon until his death in January of 1927. 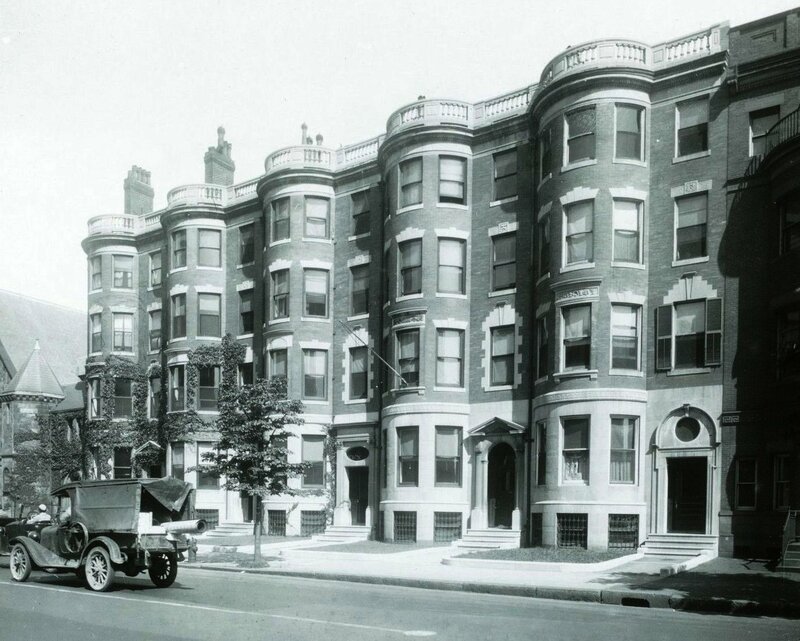 By the 1927-1928 winter season, 488 Beacon was the home of Charles Henry Bingham and his wife, Elizabeth (Mead) Bingham, who operated it as a lodging house. They previously had lived at 380 Commonwealth. In September of 1928, Edward Graham acquired 486 Beacon. The Binghams subsequently operated both 486 Beacon and 488 Beacon as lodging houses. On September 26, 1959, 486-488 Beacon was acquired from Edward T. P. Graham by George Irwin Rohrbough, president of the Chandler School for Women, located at 448 Beacon. He and his wife, Martha Fraser (Waugh) Rohrbough, lived in Cambridge. On March 14, 1973, 486-488 Beacon was acquired from The Wesley Foundation in Cambridge by Kenneth L. Shaw. On the same day, he transferred the property to Anthony P. Baker. In September of 1985, a condominium owner at 488 Beacon, applied for (and subsequently received) permission to combine two units and reduce the occupancy from nine to eight units. 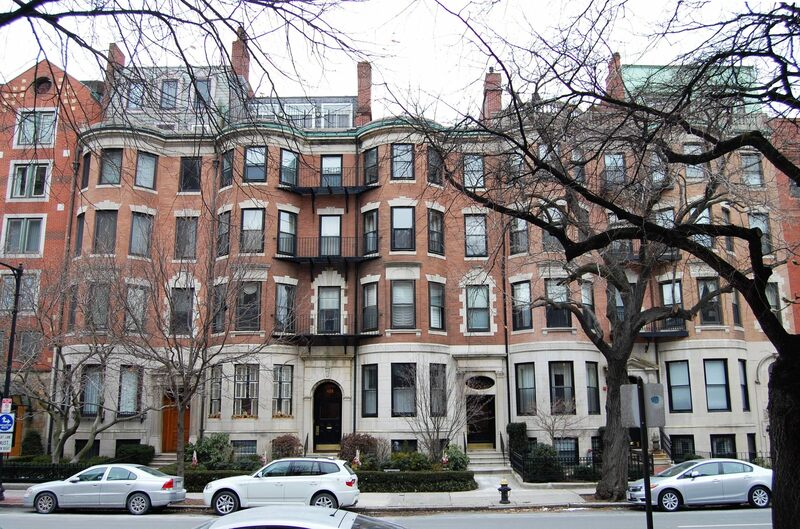 In April of 1998, the 488 Beacon Street Condominium Trust applied for (and subsequently received) permission to combine two units and reduce the occupancy from eight to seven units.